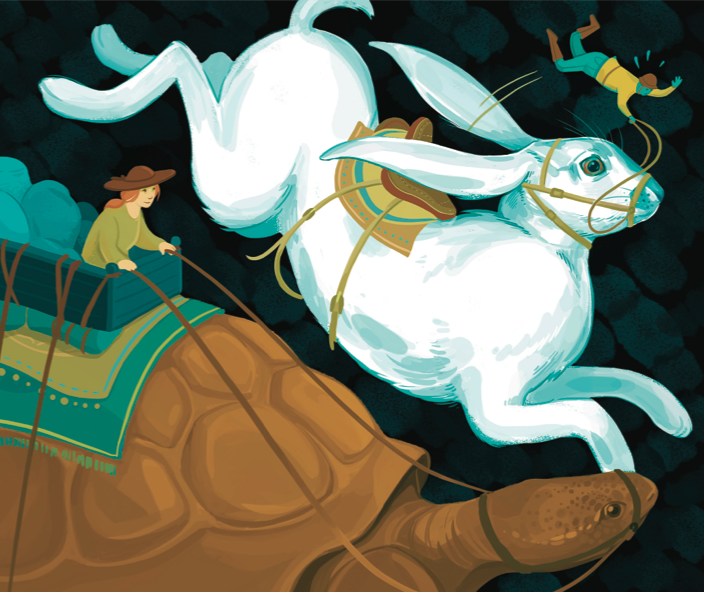 You know the tale about how the slow-but-steady tortoise perseveres to beat the speedy-but-inconsistent hare. It turns out that lesson applies to investing in retirement, too. It’s easy to be attracted to investments that surge ahead like the hare when the going is good. You might end up with considerable wealth if you’re fortunate—but you just might run out of money later in life if you’re not. If you’re trying to protect yourself from risk as you seek rewards, it’s better to follow the tortoise approach: you’re more likely to achieve a comfortable retirement with little chance of outliving your money. In what follows, we’ll show you how a slow-and-steady investment approach can achieve what I believe is a superior combination of risk and reward. We’ll explain how to structure your portfolio to meet both short- and long-term needs, select conservative investments, and follow through with a long-term investment process. Before we discuss structuring your portfolio, it’s important to understand the nature of stock market risk. Finance experts often equate risk with volatility—or how much stock returns can vary from year to year—but that can be misleading. A better definition is “the probability of a permanent loss of capital,” says George Athanassakos, professor of finance at the Ivey Business School at Western University. Investors in or near retirement are in a tricky position. They have an immediate need for steady cash flow to live on, but they also need their wealth to last for a potentially long life. If they’re caught by a big downturn around the time they retire, they could be forced to sell investments at beaten down prices in order to provide money to live on. This is called “sequence of returns risk,” and it can have a devastating effect on the sustainability of your portfolio. That’s why investors at this stage can’t easily wait out temporary dips in stock prices, even if they have the psychological fortitude for it. Fortunately, the tortoise approach can help. The first step is structuring your portfolio for both short-term and long-term needs. The idea is to meet your cash flow requirements for the first five to 10 years of retirement without the need to sell investments at possibly beaten down prices. There are many different ways to do this. You can get reliable cash flow through some combination of interest from fixed-income investments, reliable (and hopefully growing) dividends from stocks, annuity payouts, pension income and a ladder of bonds or GICs that mature each year. If you’re able to meet your spending needs with this cash flow, it gives you a longer time horizon with your remaining investments, because you know you won’t have to sell any during a bear market. The next thing to do is to select conservative investments that can be expected to hold up better in a market downturn. With fixed income, go with investment-grade bonds (such as those issued by governments or companies with strong balance sheets) or GICs backed by government deposit insurance. Avoid bonds that are exceptionally long-term, because of their sensitivity to rising interest rates. The sweet spot these days is probably corporate investment-grade bonds with terms of three to seven years, or GICs, both of which offer higher yields than government bonds without significantly more risk. With stocks, invest mainly in blue-chip, dividend-paying companies with low debt that generate reliable and growing cash flows and have a competitive advantage. Of course valuations matter, so you can pay too much for good quality companies. These days I suggest concentrating on companies that pay moderate but growing dividends, rather than companies (such as many utilities) that have higher yields but offer little potential for growth. It’s not enough to simply build a solid portfolio: it’s even more important to follow a consistent long-term investment process. While that might sound like a motherhood statement, most people can’t help but focus on the short term: they look at recent performance (one to three years) and expect it to continue indefinitely. As a result, they are prone to purchase stocks that have soared during the current bull market, but may not have performed well during earlier bear markets. They are often tempted to buy hot investments and then sell them when they grow cold. A modest dose of contrarianism—buying when everyone else is selling, or vice versa—can help sophisticated investors, but most people are better off simply following a buy-and-hold approach. Consider a study by Ilia Dichev of Emory University of 19 major stock markets around the world from 1973 to 2004. It found that a buy-and-hold approach outperformed actual investor returns by an average of 1.5% a year. (These were estimated by weighting index returns according to amounts investors moved in and out of their portfolios, thus adjusting for their behaviour.) During volatile periods, the benefit can be much greater. For the NASDAQ market between 1973 and 2002, buy-and-hold outperformance averaged 5.3% a year, due in large part to investors jumping late on the tech bandwagon and then catching the brunt of the dot-com collapse. The core of a tortoise-like process is to establish an appropriate asset allocation (the mix of stocks and bonds in your portfolio) and rebalance when actual allocations depart substantially from these targets. At this stage of life, it’s usually appropriate to invest 40% to 60% of your portfolio in stocks, with the remainder in investment-grade bonds, GICs and cash. Unfortunately, bonds provide dismal yields these days. As a result, I believe it makes sense to increase your equity exposure a little compared to what you might have done when bonds were more attractive, and to balance that by choosing conservative stocks that carry less risk than the overall market. Converting some of your fixed-income investments into annuities can also help. When you follow a tortoise-like approach, you’ll have to accept that sometimes the hare is going to take the lead. You will probably find that your returns lag the market during the good times, and you have to be patient. Just ask Matt Moody, co-manager of the Mackenzie Ivy Foreign Equity Fund, a classic tortoise investment. During the three years ending in 2014—a long, uninterrupted bull market— the fund’s A-series version lagged the MSCI World Index by an average of five percentage points a year, making it look like a dud. But that wouldn’t do it justice. It turns out during its 22-year history this fund has consistently lagged during bull markets but protected in downturns. (See “Performance that does the tortoise proud” above). In the vicious 2007–09 bear market, its annualized loss was less than half that of the index. And when you put bull and bear periods together, the fund has outperformed the index in each complete market cycle. Most recently, it outperformed by an annualized 1.6% a year from the previous market peak in 2007 to the end of 2014. We’ve recommended a low-risk approach to investing in stocks, but how exactly do you measure risk? No single metric provides a clear and comprehensive answer. However, two are commonly used in the industry. The first is standard deviation, a statistical measure of how much annual returns vary around their long-term average. But if you’re not mathematically inclined, this number lacks intuitive appeal. “If I say the standard deviation of your portfolio is 18%, what do you suppose that means to the average investor?” asks finance professor Eric Kirzner. It may help to think in relative terms. The standard deviation of the overall stock market has historically averaged about 16%, so 18% would be a little high, he explains. Another risk metric is beta, which measures the tendency for a stock or portfolio to behave like the overall market. A beta of 1 means the stock or portfolio tends to move in the same direction as the overall market, and to the same degree. A beta greater than 1 means higher volatility, and a beta between 0 and 1 means less volatility. If you’re trying to assess your tolerance for risk and set your asset allocation, look beyond these statistical measures. It’s more helpful to consider the potential loss you might suffer in a severe downturn. Portfolio designer Dan Hallett has a rule of thumb: “Assume whatever percentage you have in stocks can fall by 50%,” he says. “That gives you an idea of your downside risk. If you have half your portfolio in stocks and half in bonds and cash, then probably your maximum downside is around 25%.” In my view, if you invest in conservative blue-chip stocks you can reasonably reduce that downside estimate to 40%. The flip side of risk is return, so it’s also important to get regular reports on your portfolio’s performance. Unfortunately, many investment advisers don’t provide this, which is a glaring omission. “A lot of people don’t know how their portfolio is performing at all,” says Kirzner. Fortunately, that’s about to change: regulators will compel investment dealers to provide personal rates of return by July 2016. Source: Mackenzie Investments, Morningstar. The Mackenzie Ivy Foreign Equity Fund data is for the “A” version of the fund, for investors who invest through advisers (Management Expense Ratio: 2.52%). Do-it-yourself investors who don’t use advisers can buy the “D” version of the fund through their discount brokerage account and pay reduced fees (“D” Series MER: 1.66% ). The version of the MSCI World Index cited is the total return index in Canadian dollars.